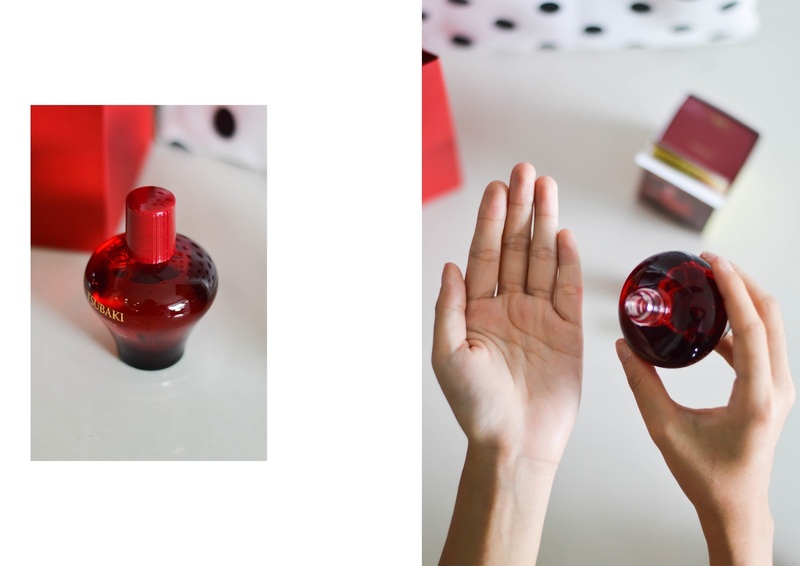 tsubaki recently launched a new hair oil product last september. after given a quick presentation on the product at the shiseido office, i found the making of the product quite interesting — ingredients used are specially selected camellia seeds from goto islands in nagasaki, japan. the perfect location and weather are suited to produce high quality camellia seeds. after a careful handpicked selection of ripe fruits, it undergoes a traditional and time consuming extraction method. only pure camellia oil obtained from the first pressing is used, ensuring high quality. the whole process does sound very organic and healthy, and i guess thats what appealed to me most. 01 to apply evenly — spread half the appropriate amount (about 20 cent coin size for mid length hair) onto the palms and work through the hair. then, spread the second half onto the palms and focus on areas that require extra application. 02 to prevent flat hair — start application from the damaged tips and gradually work upwards to the roots to avoid flat hair. refrain from applying large amount. this is recommended to those who have soft and fine hair. 03 to reduce volume or prevent dry hair apply an appropriate amount to wet hair and dry it with a hair dryer. then, spread a small amount onto the palms an apply on bottom half of the hair to reduce the volume. recommended to those who have thick and voluminous hair. having a few bad knots due to frequent hair colouring (i've decided to stop), combing my hair is extremely painstaking. also, it looks dry and naturally messy. 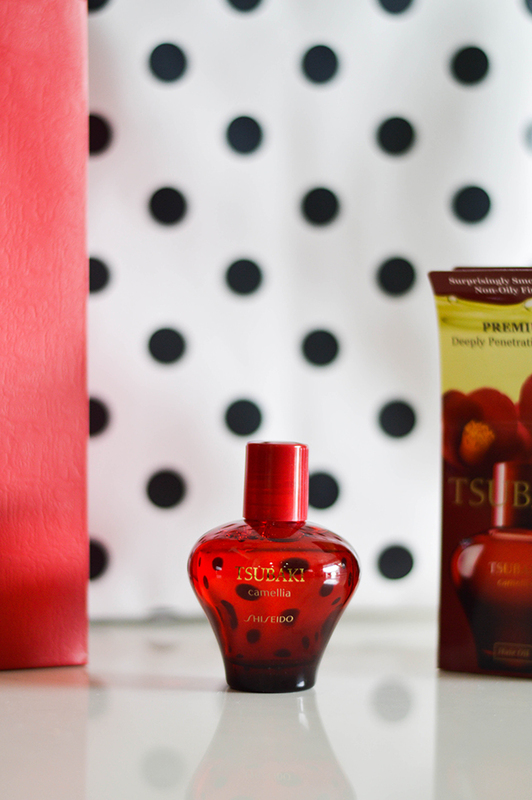 i've been using the tsubaki hair oil on and off now before writing this review, and yes i could feel the difference in the smoothness and shine. i, of course, made the effort to comb and untangle knots after shower to achieve maximum pretty hair state. haha. the flora scented oil smells really good and application was a breeze, i pretty much just rubbed the oil in and had everything under control in less than 10 minutes. i certainly do hate doing stuffs that takes too much of my time. 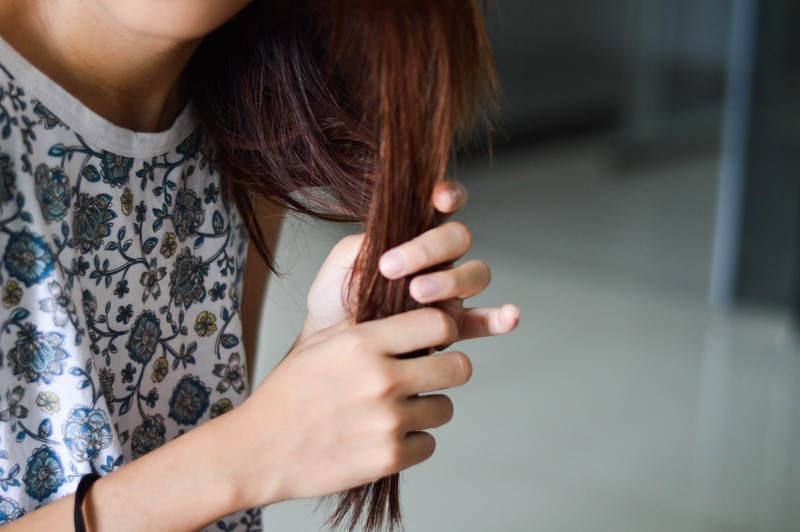 if you aren't quite convince yet, heres another reason — it is a leave on hair oil! what it basically means is that i do not have to blow dry my hair and allow it to naturally dry. woohoo! i don't know about you, but i previously was recommended to use this "shine and shield" hair product that requires me to blow dry my hair after. too much fuss yknow? i cannot keep up with the routine! so yes, this is quite a gem if you have lots of bad knots / dry hair but ain't got time to maintain (like me).